In a recent article, I wrote about my experience of visiting a reindeer farm in Finnish Lapland. While I loved feeding and spending time with the reindeer, I did state that I'm not a fan of reindeer-sledding and asked for my readers' opinion on it on Instagram. A whopping 93% stated that they'd love to go reindeer-sledding one day and to be honest, it did surprise me a bit. I totally get the wish, of course, but I'd also like to make sure that if you go, you choose a tour operator that cares well for the animals. 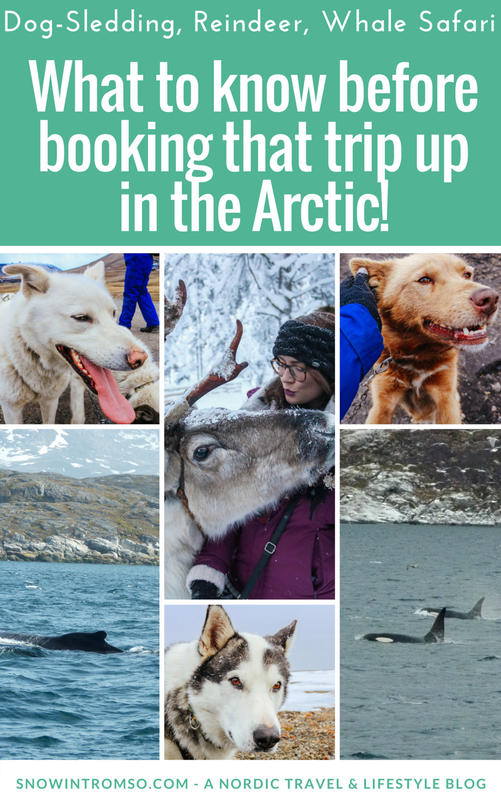 What you need to consider before booking that trip and what to look out for before choosing a dog-sledding/reindeer-sledding or whale-watching tour, will thus be the topic of this article! Activities involving animals have sky-rocketed in the Arctic in past years. With more and more tourists coming to see the Northern Lights in winter, tour operators have had to make sure to provide things for tourists to experience during the day as well. 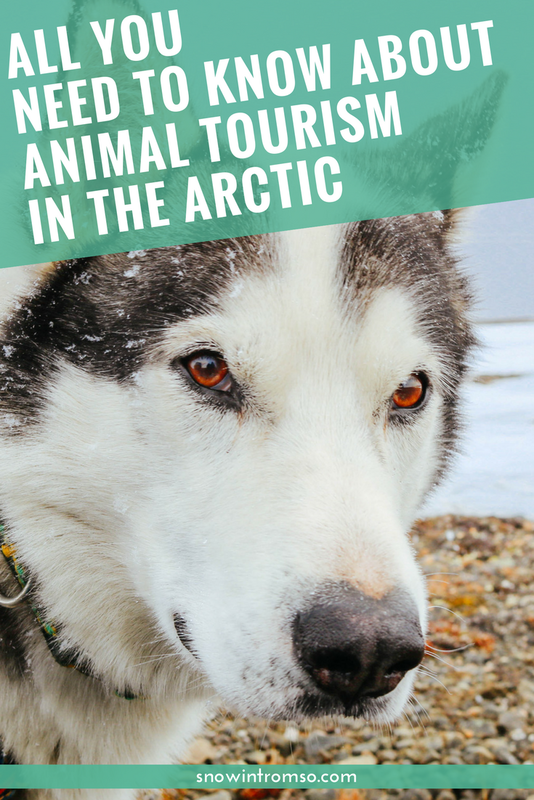 And with the whales having returned to Tromsø and dogs, as well as reindeer, having played an essential role of Nordic transportation methods for hundreds of years, it makes sense why there are so many tours involving animals on offer. Animal tourism is a highly sensitive subject and I understand the need for locals to earn money as much as the dream of visitors to pet a reindeer or finally see a whale in real life. With this article, I, however, wish to educate and tell you what to look out for when booking any activities that involve animals. Dogs have served humans in the Arctic for hundreds of years and have thus become a vital part of Arctic culture. They have served in transporting goods and people in a very harsh climate and sled-dogs by nature, are working dogs and not pets. They aren't supposed to live in city apartments in a warm climate, however, even in the Arctic, they can be mistreated. After having experienced how not to treat sled-dogs first-hand on my Workaway stay in Northern Norway, I've become especially sensitive towards the topic. One of the biggest issues with dog-sledding, in my opinion, is that it is a seasonal activity - even though the dogs need to be trained year-round. If the dogs are only put to work in winter but don't receive as much exercise as they need in the summertime as well, then that's a huge problem. Another issue worth mentioning is the question what happens to the dogs when they're too old to be put to work or sick? Having dogs on the farm that can't work puts a huge strain on the budget of the tour operator so it's common (legal) practice to put old and/or sick dogs to sleep. While this isn't illegal, it's something that I'm sure not everyone knows about before embarking on a dog-sled adventure. Fortunately, the dog-sledding industry isn't entirely bad. There are many professional mushers in the Arctic who offer dog-sledding tours and know what kind of care their animals need in order to happily and willingly pull a sled. One of the easiest things you can do when browsing for tours, is checking the state of images of the different tour operators. This is probably something you're already doing without even thinking about it but there's a lot of information that can be gathered just by looking at images from the farm alone. Reputable kennels can normally always offer detailed information about the care of their dogs and this information should be transparent. Unfortunately, we have seen images taken of our farm by area marketing boards being used in brochures in other countries in Europe to portray other farms which are not so photogenic for whatever reason. When looking at behind the scenes images thus, try and figure out the state of the farm. If you can see lots of dog poo lying around and lots of dirty food and water bowls, then this shouldn't be the farm of your choosing as it's very likely that the dogs aren't properly cared for. Coming back to the question of what happens to the dogs during the summer, try and see if you can find an operator with a summer program. Some kennels offer you to visit their farm, cuddle the puppies and go for a hike with a sled-dog, while others offer summer dog-sledding. I personally have been summer dog-sledding in Svalbard and it was a blast! There really is no need for you to wait for the winter to try it. Another thing you can do if you care about the fate of older sled-dogs is to try and find out whether the tour operator offers any sponsorship or adopting programs. Many old/sick huskies can be adopted (though again, if you live in a small city apartment in a warm climate, you shouldn't even think about it) or be provided for through means of a sponsorship. If a tour operator has any of these programs (or similar ones) on offer, it means that they deeply care about their animals and don't just provide standard operating procedure as discussed above. When in doubt about a certain issue, simply call/email the farm and ask questions. Now, they might reply using a standard set of answers so you can't be 100% sure that what they're saying is actually true before you book and go on the tour, but personally, I think that not getting a reply at all is actually much worse. It might seem like a lot to consider, but frankly, it should totally be worth your time and energy if you want to not only experience dog-sledding, but do so in a way that is fair to the dogs in question. Reindeer have been used, not only for their meat and fur, but also as a means of transportation by the Sami people for hundreds of years. The reindeer sleds made it possible for the Sami to trade fur and meat all over Lapland and Northern Norway. If reindeer-sledding thus, is such a vital part of the Sami culture, why do you think it's so bad then? Aren't reindeer similar to horses, donkeys and camel? Yes, reindeer are livestock and working animals. Their power to pull a sled has been vital in the history and development of the Sami culture. However, most Sami reindeer herders nowadays don't use sleds other than for tourism purposes, which raises the question: Why? I understand that it's a great way to make money for Sami reindeer herders, especially if you think about the fact that reindeer herding is a job that requires a lot and gives very little. What I don't quite understand, however, is what makes adults want to sit on a sled that is being pulled by a reindeer, which in the worst case scenario, has to go around in a circle. To be honest, I just don't get reindeer-sledding and I personally find the practice quite redundant nowadays. Basically, if you don't endorse ponies running around in circles in zoos or the circus, don't book a reindeer sled ride that does the same. I just don't see the same drive in and love for running in reindeer, that I know sled-dogs have (not to mention how running around in circles goes against the nature of reindeer). To be fair, I completely understand the wish to see a reindeer, and also, reindeer-sledding in many parts of the Arctic is an even more authentic part of the local culture than dog-sledding; but there are other ways of seeing reindeer that don't include a sled. First of all, let me tell you about some alternatives to reindeer-sledding before showing you how to find an ethical tour. 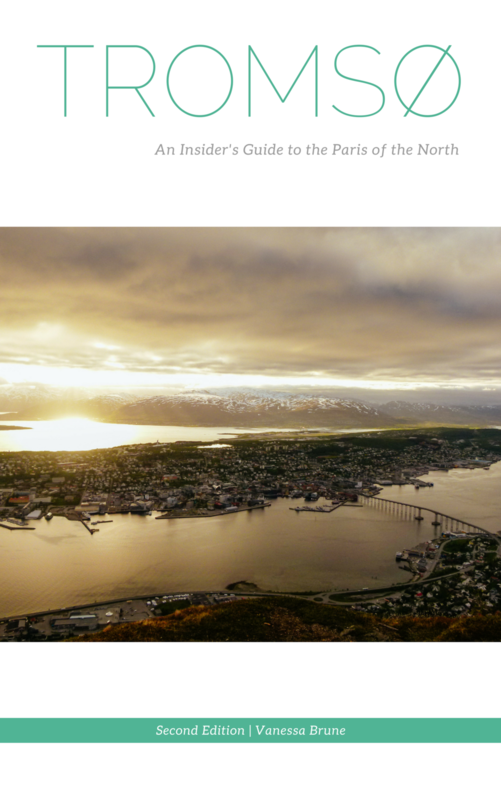 Oddly enough, when typing "reindeer-sledding" into Google, only tours in Tromsø show up while in fact, you can find reindeer-related tours and activities all over Lapland and Northern Norway. One of the most common (and most ethical) ways of getting to know reindeer and learning more about the Sami are the kinds of tours where you get to visit a reindeer farm/camp in order to feed the animals and listen to the herder tell stories. You usually also get to try some reindeer meat in the form of soup or stew at those tours. Personally, I not only find these tours more ethical but also way more interesting than going sledding. I mean, being able to feed and pet a reindeer surely has got to be more exciting than staring at a reindeer's behind, right?! You can also try to spot some reindeer in the wild. I have seen reindeer in the woods of Swedish Lapland, as well as the city of Tromsø (not the city centre that is but the neighbourhoods on the island Kvaløya) myself and can honestly say that nothing beats the excitement of a spontaneous reindeer sighting! If you do, however, want to go on a reindeer-sledding adventure, look out for "behind the scenes" and customer images. What applies to dog-sledding also applies to reindeer-sledding: the more pictures you can find of the animals, as well as the farm/camp, the better! Also, try to look past TripAdvisor Awards. Receiving a TripAdvisor Award only means that the tour operator has received mainly good reviews in the past, though that doesn't necessarily say anything about the way animals are treated. Tweet it: Planning a trip to the Arctic? @snowintromso is telling you all you need to consider before booking dog- or reindeer-sledding, or a whale safari up north! Last but not least, do yourself and the reindeer a favour and don't book a sled ride that leads you around in circles. If you absolutely want to experience a ride, choose one in the wild! After decades of being away, orcas and humpback whales have returned to Tromsø in recent years to spend their winter there, but can also be found in the Vesterålen Islands of Norway year-round. The whales are following herring schools, which means that whale-watching is a highly unpredictable activity as there are never any guarantees for sightings. When the whales first came back to Tromsø a couple of years ago, dozens of whale-watching tours suddenly popped up - many of them being offered by tour operators with no knowledge of whales and/or boats that don't carry the right safety equipment to be used for tourism purposes. In short, the fjords of Tromsø suddenly became rather crowded and also unsafe - for whales and humans alike. My very first time spotting a whale was completely different to what you experience in Tromsø these days. During my visit to Nuuk in Greenland, I embarked on a whale-watching tour on a little fishing vessel that only had space for 10 people. We cruised around the ocean and were the only vessel there when the driver suddenly stopped the engine and told us to look ahead. We saw a humpback whale in the distance that soon disappeared - only to re-appear right next to our boat! It was a magical and unforgettable experience, nothing like whale-watching in Tromsø where hundreds of people gather on one boat and if the whales appear in the fjord, 20-30 boats circle around and even drive right into the middle of the whales. This has been common practice in Tromsø in recent years, unfortunately, and despite guidelines for whale-watching being set in place, I've seen one ship (no, not a fishing vessel, a proper ship!) drive right into the group of whales on my own whale-watching tour and I'm very grateful to have picked a tour operator with a lot of knowledge of the whales who respected the animals myself. As the whales are going wherever the herring go, their location can change from winter to winter - or even from week to week. It's therefore even more important to choose a tour operator who has knowledge of the whales, so as to avoid being ripped off by paying for a tour that'll lead you somewhere the whales haven't been spotted at all that season. Wherever whale-watching guidelines are put in place, you can detect an ethical tour simply by checking if the tour operator mentions the guidelines or not. 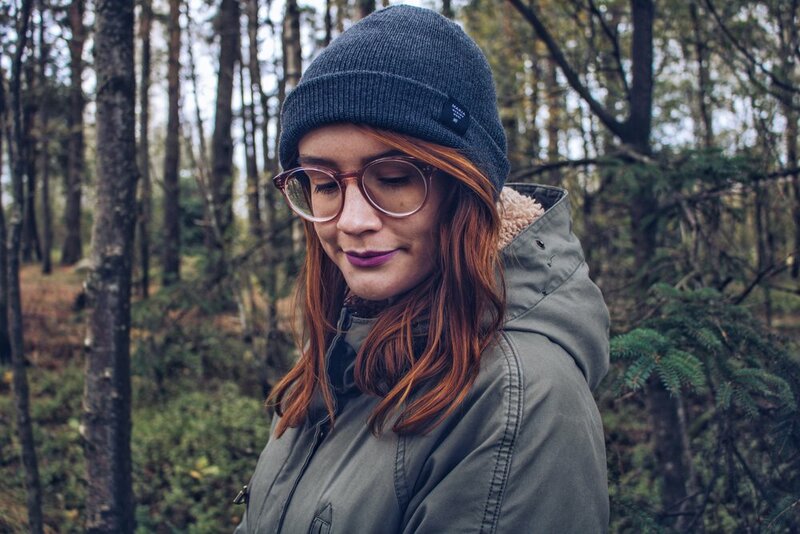 If they follow and respect the guidelines, they will mention it either on their own website or in the description of their tour on the website of Visit Tromsø. As not all places in the Arctic have guidelines, though, make sure to follow the same principle that applies to dog-sledding, i.e. look out for "behind the scenes" images (for instance, of the boat and/or images taken by customers) and don't be shy to ask questions. If you can't find any information about their whale-watching practice on their website, just drop them an email and ask about it! And maybe the tour operator has even developed its own set of guidelines that is similar to the one of Visit Tromso?! 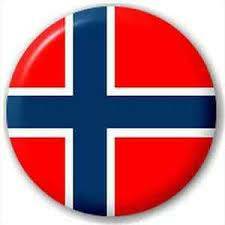 You're also welcome to join our Scandinavia and Nordic Travel group on Facebook to ask for recommendations and/or reviews of local tour providers. Can I just say that if you have a similar attitude as these 126, respectively 96 people, you should not visit the Arctic! The Arctic that I have gotten to know and that has been my home for 3 years is characterized by a rough and wild nature that I'd hate to see destroyed by tourists who only care for that perfect Instagram shot but neither for animal welfare, nor for the environment. Don't forget that in the end, you as the tourist are partly responsible for the state of animal tourism in the Arctic yourself. If you care about, for instance, the price of a tour more than about the way animals are treated, or are looking for the one tour that comes closest to what you've been fantasizing about, even though it's a tour that does the animal more harm than good, then you support some of the bad practices and standards of the industry and things won't change for the better! 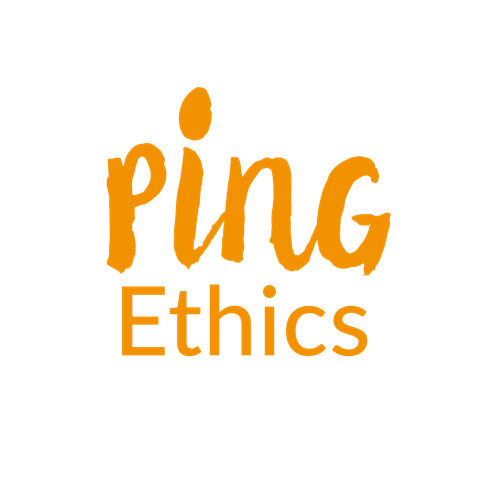 There never is a 100% guarantee that you end up on a tour that really treats animals well, but, as you can see, there is a lot that you can do before booking a tour to increase your chances of choosing an ethical tour operator. Personally, I've been whale-watching with Tupilak Travel in Greenland and Arctic Explorer in Tromsø* and can fully endorse both operators. I've also been summer dog-sledding in Svalbard with Basecamp Explorer* who do an outstanding job in caring for their animals. Last but not least, I've fed reindeer at Palosaari Reindeer and Fishing Farm in Finnish Lapland* and although I don't support their reindeer sled rides, I can 100% recommend the farm if you'd like to feed reindeer and learn more about Sami culture (*the highlighted tours have been sponsored, though, my opinion remains my own). Would you pay for a tour to see animals or would you rather like to see them in the wild?